Do you love your pet… every day? 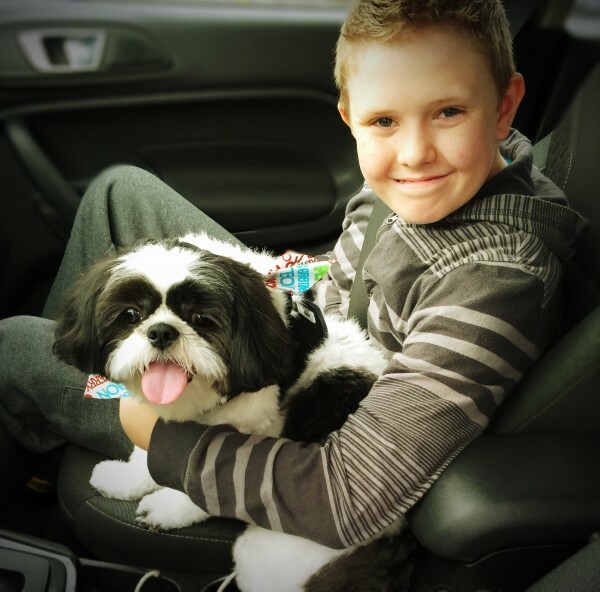 We sure do love our pet every day because our dog, Baxter, loves us unconditionally every day. A family pet truly does love with complete abandonment and deserves to be loved. Oh my gosh, every time we leave and come back (it can be just 3 minutes) Baxter acts like we’ve been gone for hours and is so excited to see us. It’s the sweetest thing. C’mon, how could you not love this face?! 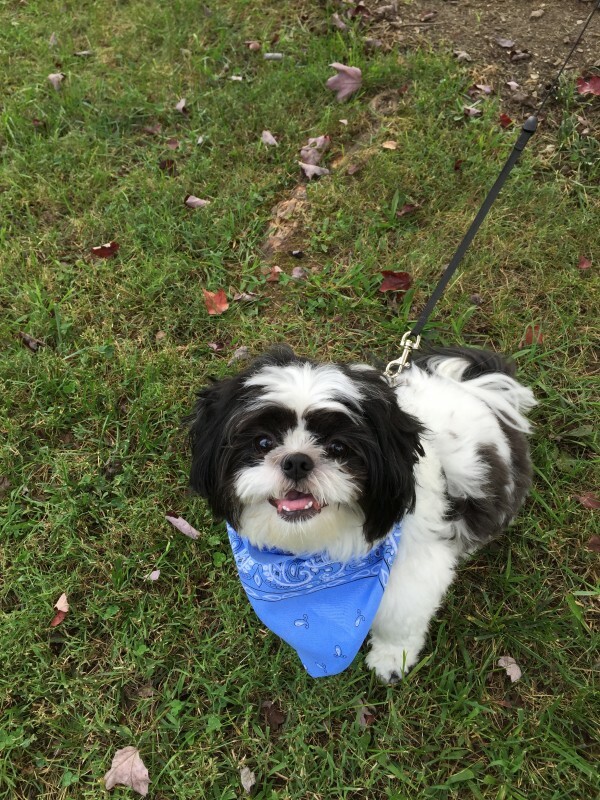 Last month I shared how Baxter is our hero and information about the Hero Pet Contest. See, what’s not to love! 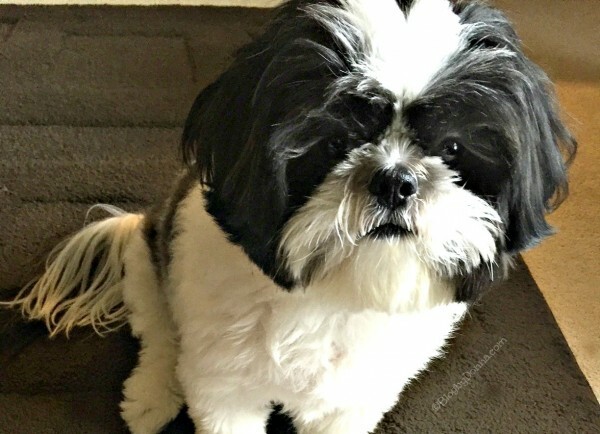 We make sure to feed Baxter a high-quality pet food like Chicken Soup for the Soul pet food. Of course, a natural dog food is good for your dog, but feeding your pet a premium dog food is more than just the nutrition it provides, it’s a way to comfort and show our love and appreciation, too. Feeding Baxter takes care of one of his basic needs, but there are many pets that may not get that basic need met like he does. 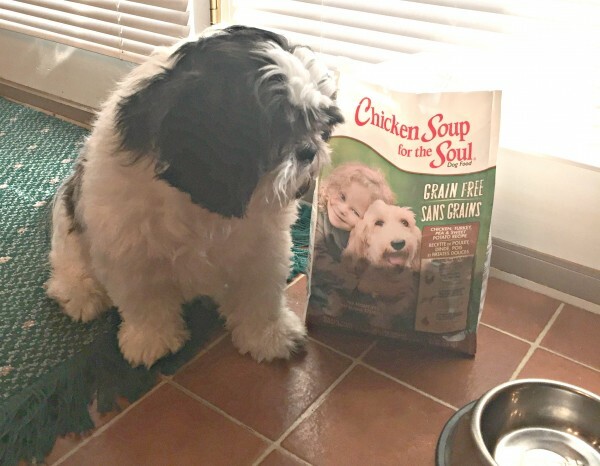 I love what Chicken Soup for the Soul pet food stands for… how they give back. Did you know that a portion of all proceeds from the sales of their pet food goes to The Humpty Dumpty Institute to help support organizations that feed and care for animals in shelters? How cool is that! If that wasn’t enough, royalties from their new books, “Chicken Soup for the Soul: My Very Good, Very Bad Dog” and “Chicken Soup for the Soul: My Very Good, Very Bad Cat” will go to the American Humane Association. No wonder I love this company so much. Chicken Soup for the Soul pet food features shelter pets from a local shelter and pets that have recently found their “forever” homes on their packaging. You can read about the Chicken Soup Pet Adoptions on the back of the packaging. Check out the store locator to see where you can find Chicken Soup for the Soul pet food near you. Chicken Soup for the Soul pet food is the official Dog Food Sponsor for the American Humane Association’s Hero Dog Awards, as well as a sponsor of the Therapy Dog category. We also like to show him how much we love him by making him some special treats. 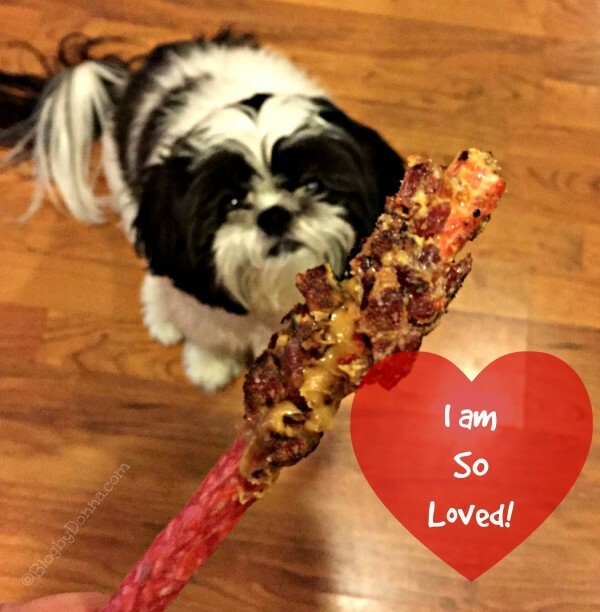 The first of February I made Baxter some Doggie Valentine Rawhide Treats made from love from me to him. We give him a treat a day to show him how much he is loved. They’re easy to make. Check out the recipe below. Okay, I made these beautiful rawhide treats and never once took a pic of Baxter with them. So I made some more yesterday so I could grab a pic and dang if I didn’t get the bacon too done. Thankfully, Baxter didn’t complain. Spread peanut butter on 3/4 of each dog stick treat. Set on baking sheet and freeze for 5 minutes. (This makes it easier to apply the bacon). 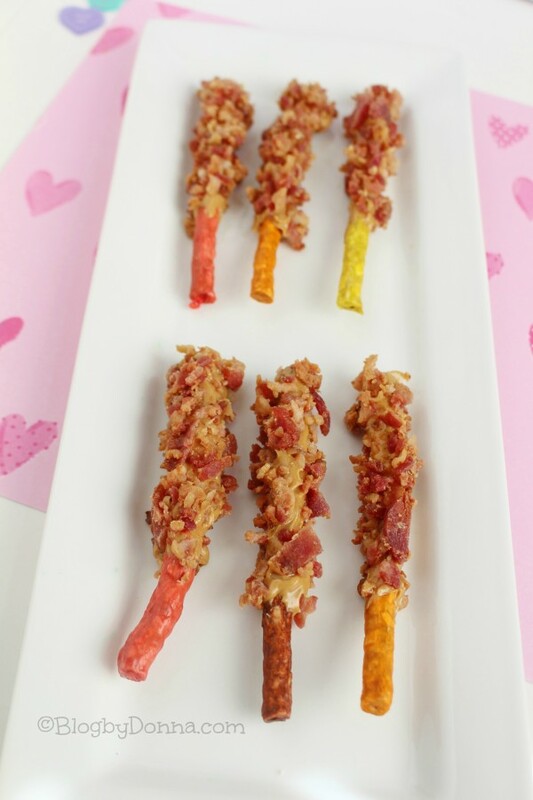 Sprinkle the crumbled bacon onto a plate and roll each stick in it to cover the peanut butter. Freeze for 10 minutes to help the bacon stick to the peanut butter. Store in an airtight container and refrigerate for up to one week. Since Baxter is a long-haired dog, we brush him out daily to keep his coat pretty and to prevent matting. We take him to the groomers to get a full doggie spa treatment every 5-6 weeks. Baxter is an inside dog and honestly the way he plays and runs after my son, he probably gets plenty of exercise, but we know it’s important for him to go on walks and to just be outdoors, whenever weather permits, daily. Lastly, but far from least, we just love and dote on him. We give Baxter plenty of belly rubs and he loves his ears rubbed, too. We let him sit in our laps, talk to him, and give him doggie hugs all the time. How do you show your pets you love them every day? Our dog loves it when we make him special treats. He would love these. Wow. Chicken soup for the soul is everywhere. Those snacks sound great, but your dog is the star of the show. What a cutie! Baxter is so darn cute, LOL. Also those rawhide treats are something my three dogs would go nuts for. Thanks you for sharing those. Baxter is such a cutie! 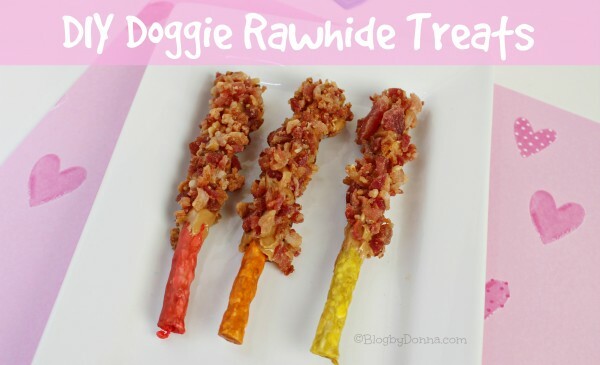 I bet our dogs would love those special rawhide treats. They love when I make dog biscuits for them. They are branding everything. At least they are supporting the humane society – a very worthy cause! I love my pets like they are family. I need to look into this food because it sounds like a great quality blend. We consider our dog to be a member of the family and enjoy treating him as such with plenty of love and extra surprises. These homemade treats look perfect! You look like you have one happy pup there! I think your doggy treat is very creative. Your dog is completely adorable! I am going to recreate those doggy treats for my pups! i am a dog owner so i flock to any pet oriented post. I will try this recipe for my babies. your baxter is absolutely precious!!! OMG! that little dog is so adorable! I have never heard of this but the snacks look great.